So happy I could read this before I saw the movie. I really had no idea how they could make this into an exciting movie but I should have never doubted Jo. Everything is possible in the magical community an now she opened up a whole new world in America. And Best is a Hufflepuff just like Cedric. Great house. How dare Tina put down Hogwarts? Of course everyone thinks there school is best. Loved the twists and the options for further story lines. Best is a great character. Good read. Play form isn't my favorite but I'll take it to get back into the world. Best book in the history of books! (okay maybe Harry Potter and the deathly hallows part 1+2 were better!) i really hope they make a 2nd one! i recommend it for anyone who is a fan of J.K rowlig,Harry Potter, and mystery and adventure! What a wonderful book! It was extremely well written and i thought it was fantastic! As a big fan of Harry Potter, I was very excited when the movie came out as well as the book. I would recommend this book to any Harry Potter fan or just as a great read. I am a Harry Potter fan. While I have enjoyed the movies, they do not hold a candle to the books. 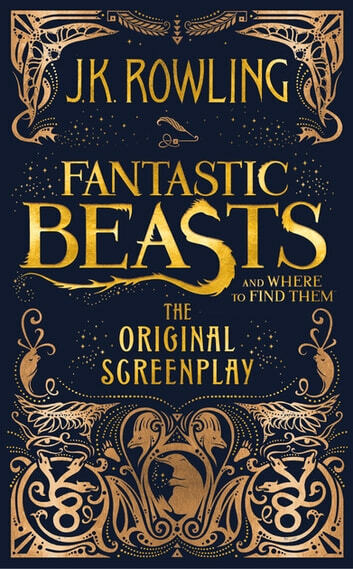 What was refreshing about FBAWTFT was that it was a movie first and book second. The story was fun, but there was no "Why wasn't x, y and z included?" People expecting a comprehensive book will be disappointed. But moviegoers wanting a bit more of the magical universe will be enchanted an charmed. 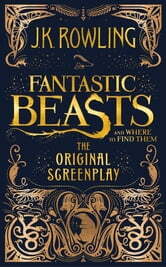 The book was engrossing and fast paced with all the magic and wonder of Harry Potter but made for Adults! Can't wait for the next installment!